June 14th, 2013 Man of Steel releases in theaters and the buzz was quite impressive. Yes, it was the first Superman movie since the punch in the groin that Superman Returns was. (Side note: I actually enjoyed Superman Returns) Which could easily explain why the movie was getting the attention it was getting. However, the movie, sadly, did not receive the praise it deserved. Love him or hate him Zack Snyder is one of the most visually stunning Directors of our time….if not of all time. When you really look at it his vision and ideas for these beloved character’s is a breath of fresh air into the lives of these long tenured heroes and if you ask me it’s nice to see someone take a slightly different approach to them. Now I’m not going to tout how much I Love Man of Steel and how I believe it to be, still to this day, the best Superhero film that has ever been released. (Look, Infinity War was good…but Man of Steel has everything….EVERY. THING.) So when WB/DC brought Snyder back for the follow up of MoS it was of no surprise to me….and I couldn’t wait for what we would get. Nearly 3 years later we finally got the movie we were promised… Batman v Superman: Dawn of Justice. And while the lead up to this movie was covered in fan rages and outcries because they didn’t agree with casting of Affleck and Gadot as Batman and Wonder Woman respectively, the hype for this film was only surpassed by that of the resurgence of the Star Wars Franchise…. So what happened? Even before release there were accounts that WB/DC meddled with the film forcing Snyder to shorten the film, cutting more than 30 minutes out. It wasn’t until we got the Ultimate Edition of the film that we began to see what Snyder’s vision was and the more you begin to dissect the film the more you see it was simply the beginning of something much more grand. The audience however had been trained, at this time for 8 years, by Marvel Studios to expect a very much contained story when it comes to Superhero flicks. A beginning (introduction), Middle (all Hell breaks lose), & End (Oh everyone is happy! let’s eat Shawarma!). No one was used to or ready for such a dark and gritty take with a very somber end. But, just like some of the best sequels in the history of film (Star Wars The Empire Strikes Back for instance) this was all a set up of great things to come from our beloved heroes. When BvS was released Snyder’s next film, Justice League, was already in production and David Ayer’s first crack at a comic book film, Suicide Squad, was just months away from releasing. It was at this time Snyder was getting criticized for his “incoherent mess of a” film by critics and the audience, Because of this Snyder and company came out and assured the fans that things were going to be fine and that the natural course for the story Snyder was telling was beginning to become much lighter in tone when compared to BvS. During all the worry for Justice League the marketing for Suicide Squad was ramping up and WB/DC felt that they could improve the movie, which was written in 6 months and rushed to production, by lightening it with the help of a company that specializes in making trailers for films. Rumor has it that there were multiple cuts of the movie. One of which was a cut by Ayer which by all accounts was darker and more Joker heavy while the other was what we got in theaters. Suicide Squad released and at first seemed to be a success…until fans and critics had a chance to really dive into it and see how poorly made that movie is… It’s just bad folks… real bad. Exactly the opposite happened with this film that happened with BvS. And that folks is where things really began to take a turn for the worse. Now, If you have listened to my Podcast, Bridging the Geekdoms (Find us HERE! ), you will have heard me talk about how Snyder REALLY planned out a contained story with what he was creating (Think the Nolan Dark Knight Films). The January prior to the release of BvS Geoff Johns made his way onto CW and announced multiple movies building off of what Snyder had already started.. Suicide Squad, Flash, Aquaman, Cyborg, Batman, Wonder Woman, and Green Lantern. This is exactly what everyone wanted though….right? An expanded universe….. a CINEMATIC UNIVERSE. Right???? This here was the start of the issues, but it wasn’t until BvS and Suicide Squad struggled, not financially (Cause lets face it, the two movies together made more than $1.6 BILLION) but critically, where things got out of hand. The trust in Snyder was gone, Affleck was unhappy about his role in all of this eventually stepping down as Director of the “upcoming” Batman movie and by all accounts stepping down from the role of the Caped Crusader, and the other announced films were simply there unable to get off the ground. However, there was some good news during this time, at least it was thought to be good news, Joss Whedon, the “mastermind” behind the Avengers success, was brought on to write and direct a Batgirl film. Also Wonder Woman was in production and the hype around that film was absolutely buzzing. So maybe, just maybe, WB/DC had plans and could get things right?… Nope.. they simply couldn’t keep their hands off of anything and believed they knew exactly what the fans and audience wanted. It has been stated, by those part of the production, that in early 2017 Snyder had completed a cut of Justice League and while the CGI wasn’t complete Snyder had shot and edited together all his initial plans for the film. Something to keep in mind is that re-shoots are part of all film productions… but what doesn’t always happen is bringing in big name Directors/Writers to help with rewrites and re-shoots….at least not publicly. During the first quarter of 2017 news came out that Joss Whedon had been brought on to help with the re-writes for the re-shoots that were scheduled to take place in the spring and early summer of 2017… Then tragic news broke that Zack Snyder’s daughter had passed away, something no parent should ever have to go through. Shortly after WB/DC & Snyder released a statement explaining that Snyder would be stepping down to spend time with his family during these difficult times and that Joss Whedon would be taking over the re-shoots as Director. Something Snyder assured us was not going to harm his vision of the movie and that Joss would always be his first pick to replace him. 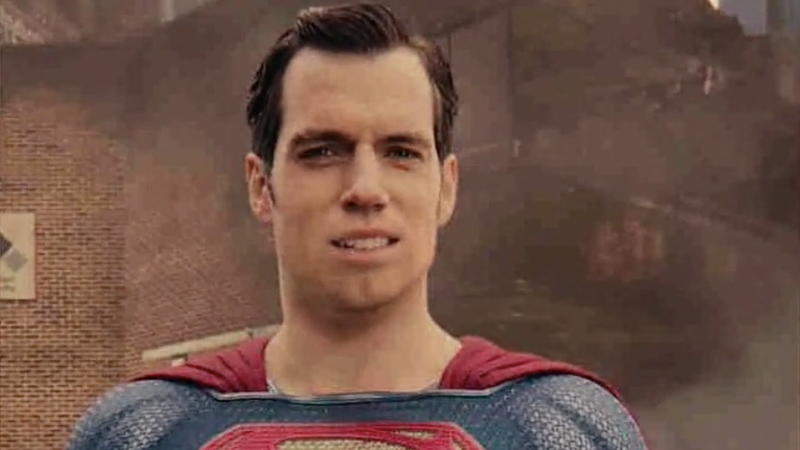 After Snyder left, reports began to flood the internet that the re-shoots were far more extensive than originally planned. So much so that it was the reason behind MUSTACHE GATE…. That smile…that Gaht Damn Smile. As we got our trailers for Justice League you could tell the shift in tone from when Snyder was at the helm to when Whedon took over. Nothing against Whedon, he was brought into a HORRIBLE situation and did the best he could to give the fans what they wanted and essentially deserved, but things were nearly impossible to fix at this point. Justice League released with a whimper…well if you want to call $600 million a….yea that is actually a disgrace when you think about what this film could and should have been. Oddly enough though the movie isn’t terrible. It isn’t what I wanted or expected but I don’t hate it. What I hate is we got a piss poor attempt at a reboot of these characters. Characters they apparently have no plans at really using except Wonder Woman and Aquaman. The latter only because his film was in production at the time of the rewrites and re-shoots. Justice League though is not at all what Snyder envisioned. And believe it or not there was a time when Justice League was going to be two parts. Snyder has never even seen what Whedon made, if that isn’t a telling sign that he was forced out I don’t know what is. If he really was all for Whedon taking over you know he would have been there supporting him the whole way…. He never did. Yea, yea, we all want a Snyder Cut of Justice League…does it exist? I believe that early draft does exist and is sitting on a shelf (flash drive/ hard drive) inside Snyder’s home… will we ever get a chance to see it? I sure as hell hope so…but I’m not holding my breath. With all of that though why is it that The Fans Deserve More and Better from WB/DC? Because the uncertainty, the poor management of films, the inconsistency of plans, the inability to assure fans things are moving well, and most of all the way they treated Zack Snyder. Zack is a stand up dude, I never expect him to come out and publicly talk about how he was wronged, I mean he does have another movie lined up with WB that isn’t DC related. That isn’t to say he wasn’t wronged by the way WB/DC handled everything leading up to the release, and essentially after the release, of Justice League. There have been so many from within production, including actors, that have come out stating that the Justice League film that released either wasn’t what they signed on for or that Snyder’s version (<<<That is an important part here) was better. 1. an explanation of why they mishandled everything. I mean it is pretty obvious they attempted to play catch up to Marvel Studios using Snyder’s contained story to be a launch pad for all these characters. But why have they essentially misled the fans like they have? 2. Clarification on where they are heading. With all the speculation that Affleck and Cavil are out and no solid plans after WW84 why should we fans be excited for anything that is coming out soon when we have no idea where it could be leading? 3. An apology. Yes, I mean it. Now, It’s unlikely a studio like WB will come out and say “Hey we F*cked Up..we know this.. sorry about that.” But they need to do something for fans of DC films. Especially those who respected and were excited for what Snyder was building. That was all ruined by WB…not Whedon…not Snyder. 4. A figure head.. I know I know we don’t want them to copy Marvel Studios..at least not from a film going experience. But there are many things that have worked for Marvel that WB/DC needs to adopt. Kevin Feige has essentially been the driving force behind the MCU for 10 years now and without him it’s hard to imagine that the MCU would be where it is today in popularity and success. 5. Finally we want the Snyder Cut of Justice League… be it in Animated, Comic Book, or even an unfinished film… we deserve….and Snyder deserves to be applauded for his work and there is no better way than to give us his, unfortunate, final DC film. I know, I know, I went on waaaaay too long here but I recently read an article that inspired me over at DC Films Hub and I absolutely had to write something about the DC film universe. Next Next post: There is Something About Nora…But What?